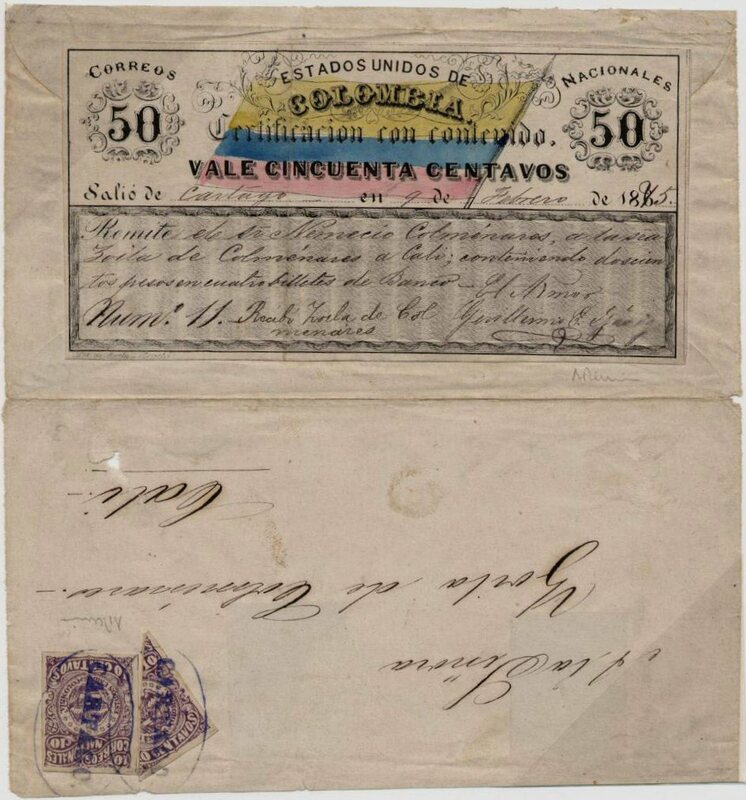 50 centavos Cubierta Cover from Cartago to Cali, February 9, 1875. One of two recorded covers with 1867 issue. Cubierta paid to send $200 Pesos in bank notes. 10 centavos and bisect of 10 centavos 1874 paid additional postage of 15 centavos for 30 grams excess weight sent within the same state.